When ebooks were in their infancy, growing hundreds of percent per year between 2009 and 2011, they were hailed by some as a potential savior of the publishing world, long in decline due to falling bookshop sales. 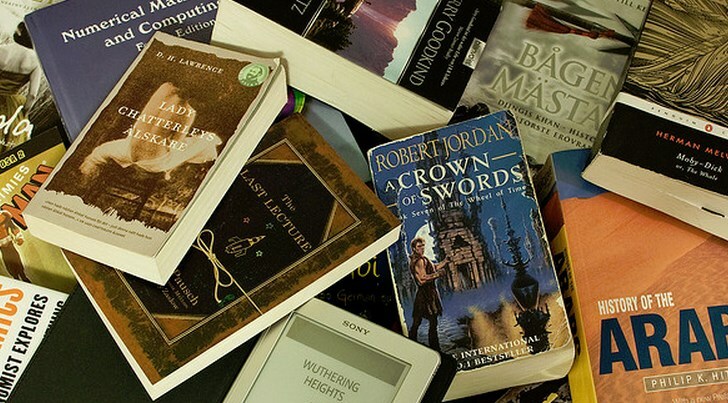 The hype has faded, ironically, just as ebooks appear to be meeting that initial promise. According to the Association of American Publishers (AAP), US Trade publishers’ net revenue rose 6% in 2012, when compared to 2011. Component to that growth was ebook sales tipping the scale at 22.55% of total revenue. In short, ebook sales are up from 0.05% to 22.55% in 10 years. That’s an average growth of 2.25% per year, though the graph has been anything but linear. Most interesting, is the growth seen from 2008 to 2012, when ebooks rose from a mere 1.18% of revenue, to 22.55%. The period of hypergrowth is over, however, though ebooks did manage to account for 5.57% more of publisher net revenue than in 2011. Assuming that pace continues, and it won’t be too many years until the publishing world is half digital. The sea change is already underway. While 2012 overall was a good year for ebooks, Dec. was among its worst months, signaling that 2013 might be a year of even slower growth for ebooks.